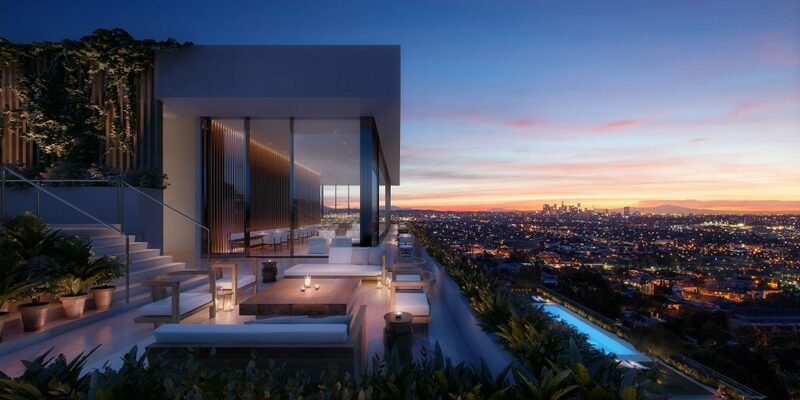 From California and Japan, to Tahiti and beyond, the world is abuzz with new openings and exciting property updates for 2019. Read on for the hottest hotel news for the year ahead. is Set to open in February 2019 and situated on one of the most beautiful and exclusive beaches in Southern California, Rosewood Miramar Beach Montecito is located in Santa Barbara’s picturesque Montecito community. 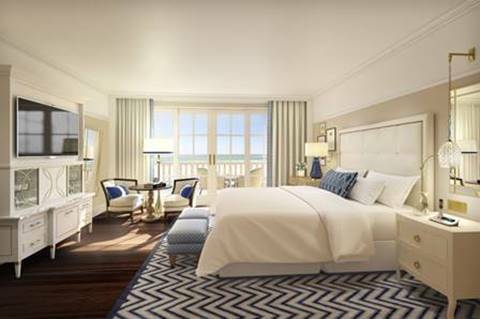 The highly-anticipated resort will feature 161 ultra-luxury guestrooms and suites, including beachfront views, a collection of signature suites and multi-bedroom bungalows. Amenities include a new luxury spa, state-of-the-art fitness studio, two cabana-lined pools, bespoke beach service on the sandy shores of Miramar Beach and six distinct new dining venues. On Feb. 11, Gwyneth Paltrow will open her first permanent hotel retail space at Rosewood Miramar Beach Montecito. Her new outpost, Sundries Shop, will offer Paltrow’s favourite beauty, activewear and fashion products with a specific focus on the beach (think sun protection skincare, swimsuits and beachy jewellery) inside a 400-square-foot space decorated in the style of a Parisian apartment. Goop’s deal with Rosewood Miramar Beach includes a minibar in each guest room with Goopglow, a skin superpowder for mornings; Goopgenes, a marine collagen superpowder for hydrated skin; and the detoxifying G.Tox Travel Kit. 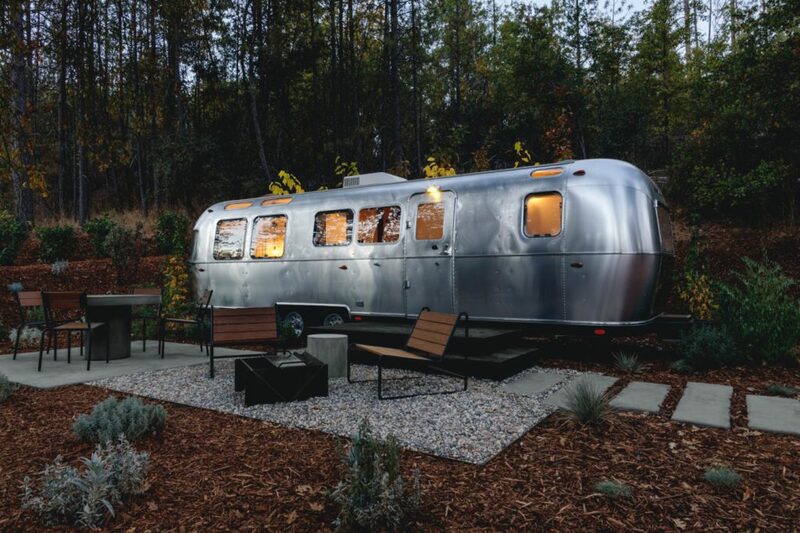 AutoCamp – one of the US’ leading outdoor hospitality experiences – has expanded its stylish outdoor offering to the historic town of Mariposa in the Sierra Nevada mountains, California; offering travellers alternative accommodation and connections to world-renowned Yosemite National Park. Nestled on 35 acres in the Sierra Nevada Mountains, the site will feature a 4,000 square foot clubhouse with reception, meeting space, indoor/outdoor lounge areas, and a curated marketplace offering artisanal food and beverages. The clubhouse includes a scenic roof deck, perfect for stargazing and an outdoor swimming pool along with 15 luxury tents, three cabin suites and 80 deluxe Airstream trailers. Opening in downtown San Diego in February 2019, The Guild Hotel is a unique blend of ornate archways and bespoke tilework with contemporary art and luxury amenities. Set within the 1920’s Army-Navy YMCA building, the boutique property will offer 162 guest rooms, from the cosy and comfortable to a sprawling penthouse suite. The hotel’s signature restaurant, Luca, will serve rustic Mediterranean delights, whilst all of San Diego’s top restaurants, bars, theatres and galleries are just minutes away. 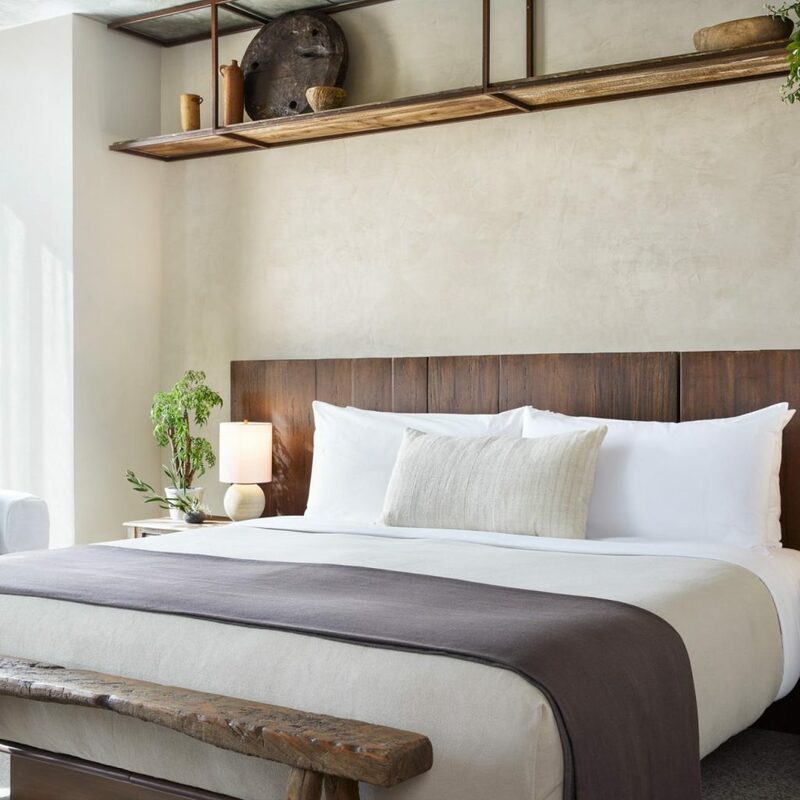 Launching in spring 2019, 1 West Hollywood promises to enhance the 1 Hotel reputation as a leader in environmentally responsible hospitality. Founded by renowned hotelier Barry Sternlicht of Starwood fame, the cause-driven brand “aims to show luxury travellers that they can live well, do good and connect with the world around them.” At the base of the Hollywood Hills, the hotel will boast 235 rooms and 50 suites with unobstructed views of the cityscape, from Santa Monica to downtown LA. 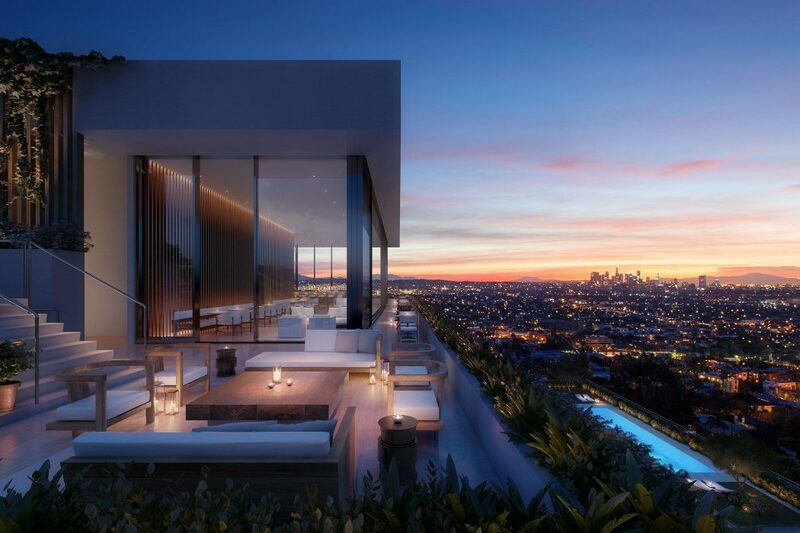 Located on the corner of West Sunset Boulevard and North Doheny Drive, West Hollywood EDITION will feature 190 rooms and suites, along with 20 luxury residences. Guests will revel in a rooftop pool, six-treatment room spa, lobby lounge, basement club and signature restaurant. 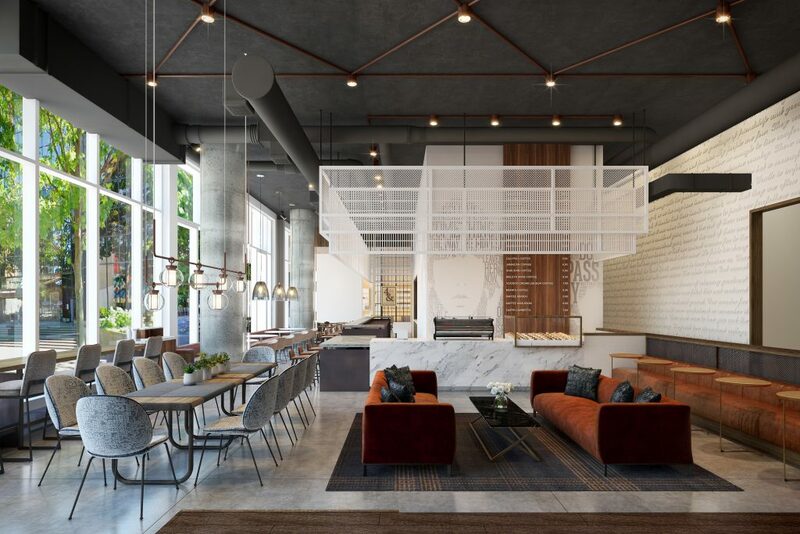 The Sound Hotel and Currant Bistro are set to open in Seattle’s Belltown neighborhood as part of the Tapestry Collection by Hilton. It has been designed as a vibrant property that will celebrate the sights, sounds and tastes unique to Seattle. The hotel will feature 142 guest rooms located on the first 10 floors of the 42-story mixed-use building complete with rental apartments. It also features a new restaurant, Currant Bistro, with Chef Jon Langley at the helm, plus a bar and lounge offering unobstructed views of the Space Needle. The Hotel Group, based in Edmonds, Washington, will manage the property. KEX, Icelandic for “biscuit,” is a social hotel from Reykjavík, Iceland founded in 2008 in a former biscuit factory. 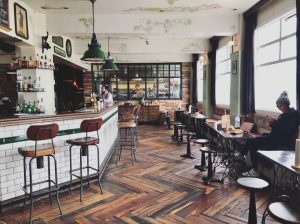 The vibrant property brings the best elements of a boutique hotel together with the energy of a hostel, acting as a community gathering place and creative hub. KEX’s versatile space brings together lodging, food, drink, music, performance, art and brewing. KEX Portland will be the brand’s second location and its first in the United States. The ground floor restaurant and rooftop bar will be led by Ólafur Ágústsson, Food and Beverage Director of both the original KEX location and Dill, Iceland’s only Michelin-starred restaurant. 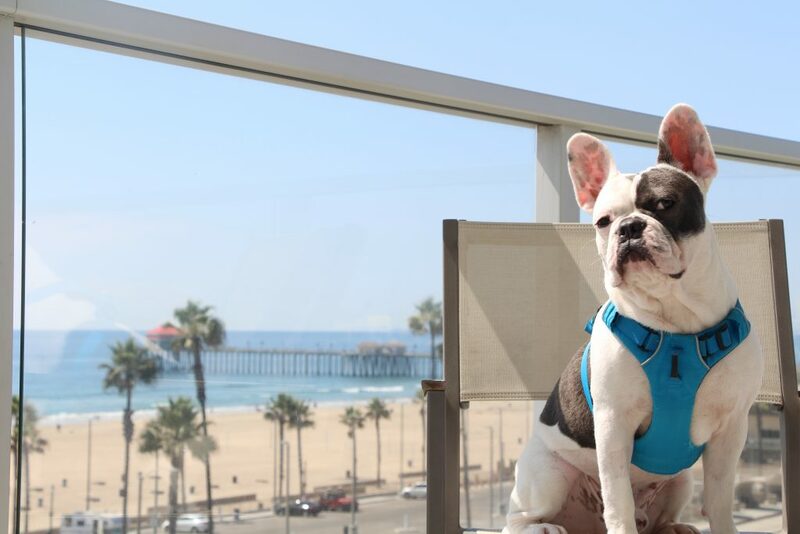 A surfers’ paradise on the shorelines of Huntington Beach in California, Paséa Hotel & Spa has unveiled a new interactive pup play park, The PAW-SÉA, to add to its luxe pet-friendly hotel amenities. The brand new 1,100 square foot outdoor pup play area is outfitted with a lifeguard station dog house, a local artist-commissioned wall mural featuring dog angel wings for coveted Instagram travel photos, and all the space a vacationing four-legged friend could want. Paséa Hotel & Spa is also conveniently located less than two miles from the famed Huntington Dog Beach where dogs can run leash-free through the waves of Surf City U.S.A. Known for its legendary western hospitality, C Lazy U Ranch is a luxurious dude ranch which celebrates its 100th anniversary this year. Visitors can take in the fresh country air by day with horse rides, mountain hikes and fly fishing. When the sun sets, a delicious gourmet meal is served before guests retire to their cosy log cabins. 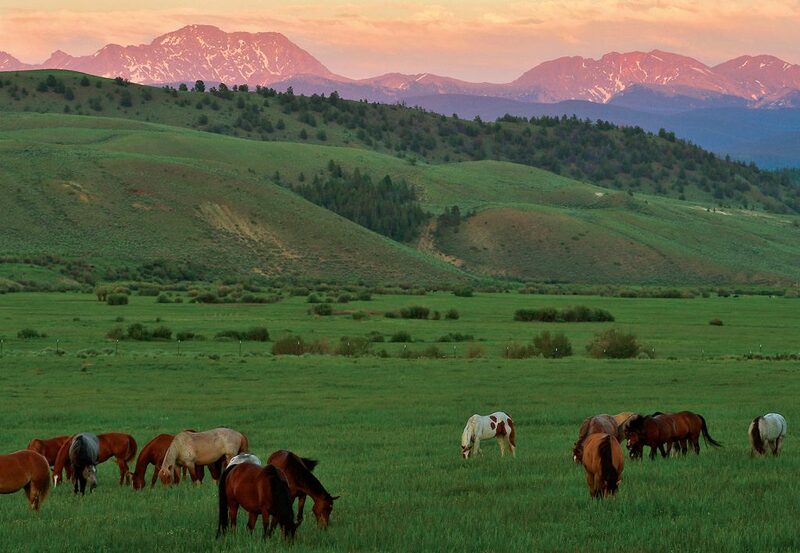 The ranch hosts special events throughout the year including a special female-only Body, Mind and Equine retreat, 9 – 12 May 2019, where guests will use yoga and yogi practices to improve horsemanship from ground to saddle. You may just know MUJI as that amazingly simple yet sophisticated lifestyle retailer, but did you know they also operate a number of hotels? Following on from the success of its two branches in Shenzhen and Beijing, China, MUJI Hotel Ginza will be opening on 4th April 2019, together with the MUJI Diner. The new 79 guest room hotel will become the company’s flagship hotel and will also feature a new MUJI store, replacing the former Yurakucho branch. The 6th floor where the hotel front is will also house ATELIER MUJI GINZA, a multi-purpose facility aimed at introducing visitors to the people and areas behind its designs and food through its cafe/salon, library and interactive lounge. 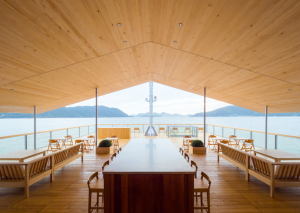 Taking international bookings from January 2019, Guntu (named after a local blue crab) is a floating hotel, which allows guests to explore different islands within the region. The luxury boat has 19 guest rooms with ocean views and terraces; a lounge, gym and sushi counter, serving freshly-caught seafood which is delivered directly by local fishermen. Guests can explore islands using tenders to and from the luxury vessel, across the unusually calm waters. All cruises start and end at Bella Vista Marina, Onomichi, Hiroshima. Residing on its own private island, The Brando considers itself the steward of Tetiaroa, and takes this environmental responsibility seriously. Marlon Brando’s Polynesian island retreat has just been announced as a finalist in the Tourism for Tomorrow Awards announced by The World Travel and Tourism Council. The luxury resort relies entirely on renewable energy sources including solar power and coconut oil, and all building materials used are of local or certified origin, renewable, or incorporate recycled components. A pioneering deep seawater air-conditioning system keeps the hotel cool and all guests are provided with free bicycles to get around the island, further reducing the carbon footprint. 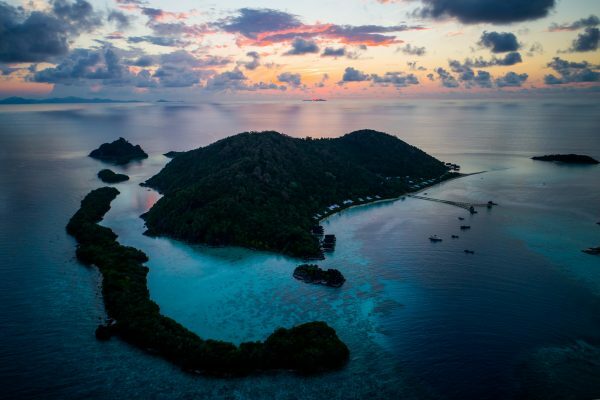 The owners have also built an Eco-station and gifted it to Tetiaroa Society; the non-profit organisation was established to allow scientist to lead research into sustainable interdependence.